Ali Monfaradi, the youngest Bahraini black belt in history speaks to BTW on one of the fastest growing sports in the world, jiu-jitsu. 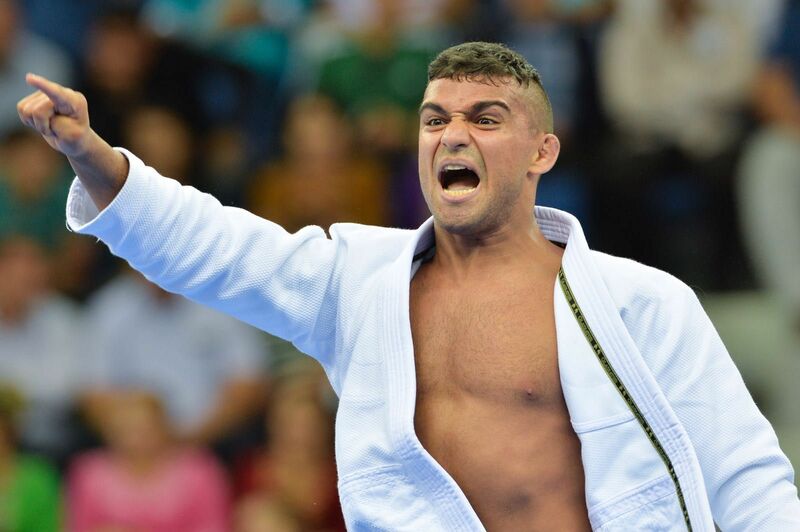 The young, tough and full-time jiu-jitsu athlete, member of the Bahrain National Team, tells us more about his aspirations his accomplishments and passion. Read on to find out more about Ali Monfaradi. Could you tell us a briefly about you and your belt rank? 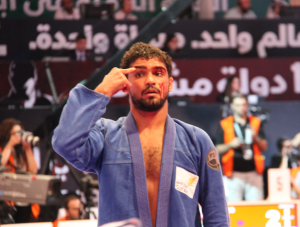 My name is Ali Monfaradi, I am 24 years old, and a Jiu-jitsu black belt, the youngest Bahraini black belt in history, and it’s first and only World Champion. I am professional who does the sport full time and have dedicated my life to it. I have been practising for the past 12 years now. When and how did you get initiated into Jiu Jitsu training? It was all very organic for me, I’ve wanted to start as long as I can remember, during that time both my uncle and father trained and today most of my family trains of course but back then there was no kids’ program, I’m talking before 2006 and Jiu-jitsu wasn’t nearly as widespread in Bahrain. So the moment my uncle Reza started the kids’ class, I never stopped since then. Tell us about your achievements and what you expect from 2018? My major gold medals include the 2012 World Championship, 2012 Pan American Championship, 2013 Brazilain Nationals, 2016 American Nationals, 2016 Asian Beach Games, 2016 Asian Championship, 2017 Asian Indoor Games & Martial Arts. I have since stopped setting myself “must-have” projections, I will commit and dedicate myself regardless, any added pressure won’t help with my performance. I believe that this will let me fight better. Tell us about your training schedule? It can get busy, between Gi, No Gi, strength training and drilling, my day could look like 7:00-8:00, 10:00-11:00, 11:00-12:30, 17:00-18:00, 18:00-19:30; 19:45- 21:00. There’s also all of the non-physical work involved with my career, so basically it’s packed. It’s fulfilling though, and I wouldn’t have it any other way. What has been your toughest competition? I’ve competed in a lot of competitions over the years, all around the world. Having accumulated more than 150 medals, it’s hard to think of a single competition being exceptionally difficult. The 2012 World Championship comes to mind because I had to have 7 fights in one day, with a couple of really close calls. There was also the 2016 Asian Beach Games, which was outdoors, in a very hot, very humid Vietnam, so that was more of a physical than a technical challenge. In the Jiu-jitsu community, Marcelo Garcia, Rodolfo Vieira, and Lucas Lepri come to mind. Outside of that, Michael Jordan, Sugar Ray Leonard, Michael Phelps, and Goerges St-Piere. Those are obviously some top-tier highly successful individuals, but they each bring their own story, which carries on to inspire countless people. What do you think about the evolution of Jiu-Jitsu in recent years and where do you see it going? What has happened in the last 10 years, then the last 5, and especially the last 2 is uncharted territory. We are headed to a much more professional sport, from both the athletes’ end, but also the events, sponsors and academies. 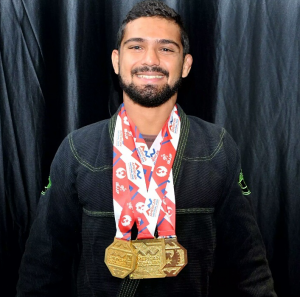 Jiu-jitsu is in a better state than ever into eventually becoming an Olympic Sport and I am glad to be alive and competitively active during this new time. Before all else, to extend my teachings into my life, meaning to be a good human being. A simple person, one that does care for trivial fights, or gossip, or wasting my valuable time. I believe in helping others for the very purpose of helping, and it is a lesson a try to teach myself to this day. I don’t pretend to be perfect, but my goals are clear and I am constantly aiming for that. What is one thing that you’d like to emphasize to the beginning jiu-jitsu students?